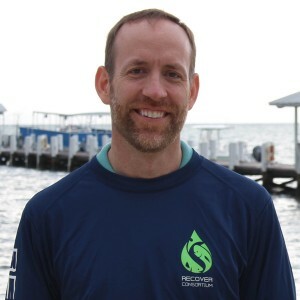 Edward Mager is an Assistant Professor of Environmental Science in the Department of Biological Sciences and Institute of Applied Science at the University of North Texas. Dr. Mager earned a BS in Biology from St. Louis University, an MS in Biotechnology from Northwestern University and a PhD in Marine Biology & Fisheries from the University of Miami. He joined the faculty at UNT in the fall of 2016 following two post-doctoral positions at the University of Miami. Dr. Mager’s research interests lie in the areas of aquatic toxicology and fish physiology. Specifically, Dr. Mager studies the impacts of stressors from both anthropogenic (i.e., pollutants, such as crude oil and metals) and natural (e.g., salinity, pH and temperature) sources, as well as their interactions, on aquatic organisms. His laboratory uses an integrative approach to understand the mechanisms of toxicity, studying effects from the molecular to the organismal level. As part of RECOVER II, Dr. Mager’s laboratory will largely focus on examining the role of dissolve organic carbon in potentially mitigating or enhancing the effects of crude oil exposure to early life stage fishes.